LAGOS, Nigeria, July 3 (Reuters) – U.S. President Barack Obama's choice of Ghana for his first official trip to Africa next week has triggered a bout of self-questioning in Nigeria and Kenya, where many see his itinerary as a deliberate snub. Lagos, June 20 (This Day) - Nigeria and Russia are to sign a nuclear energy cooperation accord next Wednesday when President Dmitry Medvedev becomes the first Kremlin leader to visit Nigeria, officials said. 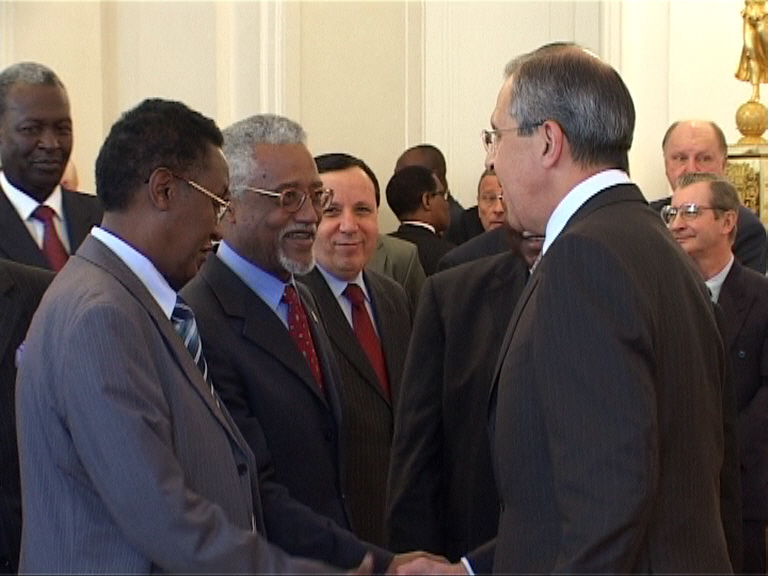 MOSCOW, May 28 (Buziness Africa) – Russian Foreign Minister, Sergey Lavrov, has told an African group of ambassadors at an official reception that Russia’s cooperation with the African region is consecutively evolving, and that Russian authorities planned to steadily build broadbased partnership on principles of equality and mutual respect.